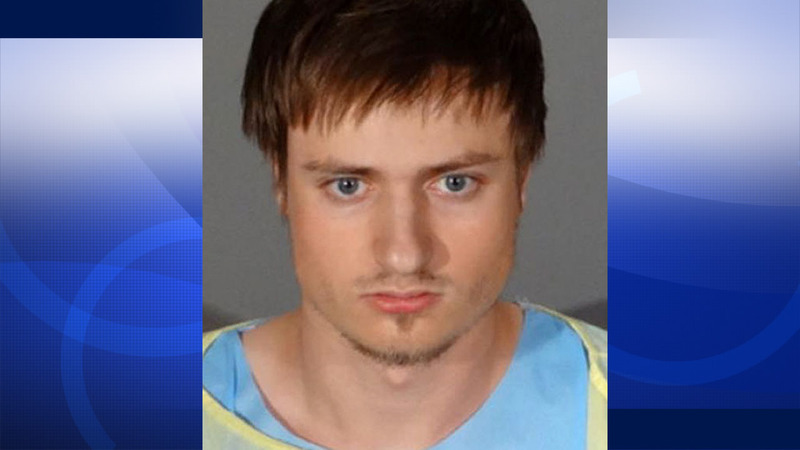 SANTA MONICA, Calif. -- An Indiana man armed with three assault rifles and chemicals used to make explosives was arrested in Southern California on Sunday and told police he was headed to a gay pride parade - an event that annually draws hundreds of thousands of people, authorities said. The early morning arrest in Santa Monica of James Wesley Howell, 20, came just a few hours after at least 50 people were shot and killed in a gay nightclub in Orlando Florida, though authorities said they had found no evidence of a connection between the suspects. Residents called police to report suspicious behavior from Howell, who was parked facing the wrong way in a white sedan, police said. When officers arrived they saw an assault rifle sitting in Howell's passenger seat, Santa Monica police Lt. Saul Rodriguez said. Man told @SantaMonicaPD officer of wanting to harm Gay Pride event during arrest for weapons and explosive materials possession. Santa Monica police Chief Jacqueline Seabrooks had initially tweeted that Howell told officers he wanted to do harm at the gay pride event, but she later said that tweet was inaccurate, and that Howell only said he was going to the event. The huge parade and festival known as LA Pride took place later in the day about seven miles away in West Hollywood. Authorities would answer no further questions on Howell or his motives. The FBI has taken over the lead of the investigation from the local police. Indiana State Police Capt. Dave Bursten referred all questions about the investigation to authorities in California. A Facebook page that is apparently Howell's is full of pictures of a white Acura like the one he was arrested in, and pictures that appear to match the photo police released of him. The page's most recent public post, from June 3, shows a photo comparing Adolf Hitler to Hillary Clinton. An anti-Clinton, pro-Bernie Sanders photo was posted in February. But it shows no enmity for gays or membership in any movement. The page says he lives in Jeffersonville, Indiana, and he went to high school in nearby Louisville, Kentucky. It says he recently left a job as a security guard, and he now works as an auditor at a company that makes air filtration products. At the scene in Santa Monica, police spent the day searching the white four-door Acura sedan still parked facing the wrong direction on a busy thoroughfare in a mostly residential area of the seaside city west of Los Angeles. There was a red plastic gas can near the car and items laid out on a white sheet next to it. Heriberto Gomez, a lifelong resident who says he watches over the neighborhood, stepped outside at 3 a.m. Sunday and saw the car in the street. Gomez said the man then ran across the street and hid in bushes and overhanging trees. It appeared the man was looking back at him. "I was looking at him for a minute, for a long minute," Gomez said. "He didn't want to come my way because he seen me standing right here." The organizers of LA Pride said in a statement before the parade that "we are heartbroken that so many of our brothers, sisters and allies were lost in this tragic attack." Organizers said the tragedy made them all the more determined to continue with plans with heightened security from the Los Angeles County Sheriff's Department. "Our brave founders made this happen to show the world who we are," the statement said. "We will be loud. We will be proud, and we will celebrate in honor of all those lost." Carl Oliver of Los Angeles attends the parade every year. He said he cried after hearing about Orlando but never considered not coming.